After years of attempts to fully own the U.S.’s top cellphone carrier, Verizon Communications Inc. is on the verge of buying Vodafone Group PLC’s 45% stake in Verizon Wireless for as much as $130 billion, in what would be the second-biggest deal of all time. Verizon Communications is in talks to pay as much as $130 billion for Vodafone’s stake in its U.S. wireless venture in a deal that could be completed within a week. Ryan Knutson discusses on the News Hub. Photo: Getty Images. The acquisition could be completed within a week, according to people familiar with the matter. Verizon and Vodafone have yet to agree on a price, the people said. 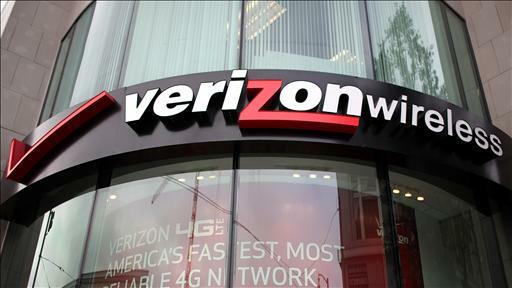 But in a sign that the on-again, off-again talks, which were rekindled this summer, have reached a more serious level, one of the people said Verizon is in discussions with banks over the tens of billions of dollars in loans it would need to complete the deal. Verizon has sought for years to buy out Vodafone’s stake in their U.S. wireless venture, but the companies have never been able to agree on price. They remained far apart earlier this year, with Verizon looking to pay around $100 billion and Vodafone hoping for more like $130 billion, people familiar with the matter said at the time. In 1982, AT&T agreed to break up and end its monopoly over the country’s telecommunications business to settle an antitrust lawsuit with the U.S. government, with the division taking effect in 1984. In the decades since, the industry has undergone immense change—and consolidation—with the advent of wireless communications. It wasn’t clear whether the gap in price had been bridged at all or whether Verizon has put forward a specific offer, and those old disagreements could still prevent a deal from reaching fruition. But with interest rates rising and new competition emerging in the U.S. wireless market, the companies appeared to have moved beyond their earlier stalemate out of concern that the window for a deal could be closing. Interest rates have spiked in recent months amid worries that the Federal Reserve would taper its bond-buying stimulus program. Rising rates make the debt-heavy deal more expensive and could hasten it since Verizon may want to move before rates rise even further. Adding pressure are signs of increasing competition in the U.S. wireless industry. Verizon Wireless and AT&T Inc. have long accounted for the bulk of the industry’s lucrative subscribers on contracts, net customer additions and profits. But in recent months, smaller rivals Sprint Corp. and T-Mobile USA Inc. have showed signs of becoming more formidable competitors. Tougher competition could hurt the value of Verizon Wireless, which has 100 million customers, giving Vodafone an incentive to cash out now. Verizon’s shares have fallen sharply since hitting a high of about $54 in April. Verizon’s stock was up 2.6% at $47.78 in midafternoon trading in New York Thursday, while Vodafone shares closed 8.2% higher in London. Finally, Vodafone’s strategic ambitions are becoming clearer. The carrier offered roughly $10 billion in June to acquire control of Germany’s largest cable operator, Kabel Deutschland Holding AG. Vodafone said it expects to complete the deal by the end of the year. Through the acquisition, Vodafone is attempting to broaden its product range beyond mobile services amid pressure on wireless service revenue in European markets, especially in the southern part of the continent. The deal will widen Vodafone’s offering in the key German market and could lead to similar moves in other European countries as consolidation in the global telecommunications industry continues. The U.K.-based carrier built itself into a multinational wireless company through deals in the 1990s and 2000s, including its 2000 deal for Germany’s Mannesmann, whose total value of $172 billion, excluding debt, made it the biggest acquisition ever, according to data-research firm Dealogic. Vodafone on Thursday confirmed it was in talks with Verizon to sell its stake in Verizon Wireless, but said there is no certainty an agreement will be reached. Price is likely still the biggest stumbling block. Verizon’s advisers and internal bankers have frequently looked at the transaction over the last decade. Verizon geared up to do the deal as recently as 2011, but it never happened because of disagreements over price, a person familiar with the matter said. Verizon has developed a hypothetical structure for how a deal would look, people familiar with the matter have said. The company would pay for the stake using a mix of stock and cash, possibly borrowing $50 billion or more to cover the cash component, the people said. Earlier this year, Verizon executives launched an unusually public campaign to stump for the deal—in an apparent sign of frustration with their inability to make progress in private talks with Vodafone—and for an extended period the two sides had little substantive contact on the matter. Chief Executive Lowell McAdam said in January that his company had the financial capacity to buy out Vodafone’s stake, and a few months later Chief Financial Officer Fran Shammo said Verizon had come up with a structure that would allow Vodafone to sell its stake without taking a big tax hit. But the deal didn’t come together due to differences on price and disagreement over the potential tax implications. Vodafone executives have argued that selling the company’s stake in the successful venture would trigger a tax bill that could top $10 billion. Vodafone and its shareholders may have also been reluctant to do a deal because it would leave the company without its best asset and more exposed to troubled European economies.